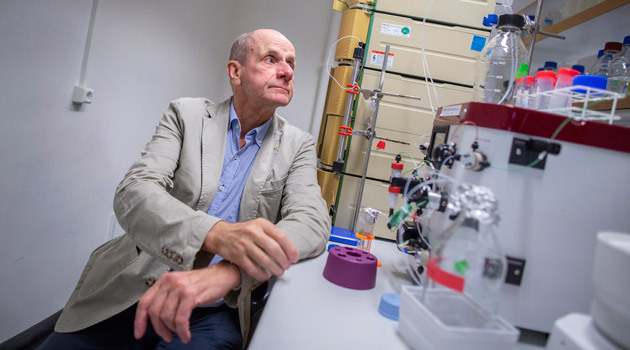 Lars Lannfelt, Senior Professor of Geriatrics, founded the BioArctic biotechnology company in 2003 as a platform for pharmaceutical development. “I believe we soon can offer the first approved drug for Alzheimer’s disease,” says Lars Lannfelt, Senior Professor of Geriatrics, whose research sparks hope of curbing one of the major widespread diseases of our time. In late July there were reports in the media from a conference in Chicago about Alzheimer’s disease. The focus of journalists’ attention was a new study of how the progression of the disease is affected by the BAN2401 antibody, a Swedish product developed by Lars Lannfelt, Senior Professor of Geriatrics at the Department of Public Health and Caring Sciences. “We have tested the antibody in various doses on 856 patients on three continents with better results than we even dared to hope for. After only six months we observed positive results, and after 18 months 81 per cent of the group receiving the highest dosage showed lower levels of amyloid beta than the level we measure in Alzheimer’s disease,” says Lannfelt. The idea for the antibody originated back in the 1990s, when the team identified a change in the genetic material of a Swedish family that had been severely afflicted by Alzheimer’s disease. The mutation indicated that the cause seemed to be a soluble, early form of amyloid beta molecules, known as protofibrils, which give rise to plaque in the brain. “With this new knowledge, we chose to focus on these protofibrils, which we believed were the form of amyloid beta that causes the most damage. In 2005 we developed our antibody, and today I am extremely pleased with what we have achieved, for the sake of the patients and my many colleagues over the years and for Swedish research,” says Lannfelt. In 2003 Lannfelt and former research colleague Pär Gellerfors founded the BioArctic biotechnology company as a platform for pharmaceutical development. A significant part of the modifications of the antibody were carried out there, and when the results of the current study were made public, the shares soared in the stock market. 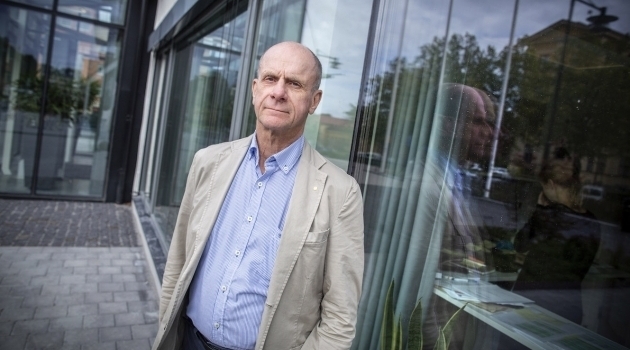 Suddenly Lannfelt and Gellerfors saw their faces on Swedish business magazines accompanied by headlines such as “Swedish Alzheimer researchers became billionaires in two days”. Despite his team’s successes, Lars Lannfelt does not want to speculate on when an approved treatment can be available for health care. Photo: Johan Wahlgren. Today BioArctic is preparing for the Phase III study every pharmaceutical product must undergo before it reaches the market. At its side BioArctic has Eisai, Japan’s pharmaceutical giant, which is assisting with funding and implementation. The goal is to go ahead as early as 2019, but despite BioArctic’s successes, Lannfelt does not want to speculate on when an approved treatment can be available for health care. Alzheimer’s disease is named after Alois Alzheimer, a German psychiatrist and neuropathologist, who in 1906 became the first in the world to describe the disease. In patients with Alzheimer’s disease, fibrils – long threads of amyloid beta – have clumped together and formed deposits on brain tissue, causing insoluble plaque in the brain. Lars Lannfelt’s research team has created an antibody that attacks protofibrils, soluble precursors to fibrils, which seems to both curb and reverse the progression of the disease at an early stage. Protofibrils are toxic and the most harmful form of amyloid beta.